Bungamati or Bunga: called by Newah: people in Newa: (Nepal Bhasa) language. It is formally known as Amarapur. 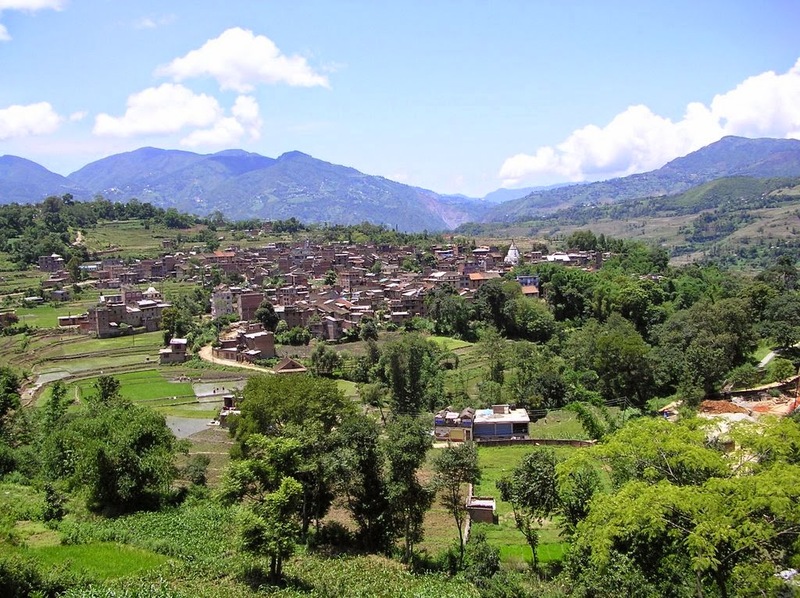 the name is derived either after the village founded at the spot where Bhairav howled “bu” (birthplace), or from the word “Bungaa:” meaning “watering place” or “spring” like the explanation of the name of the village and several residents in Bungamati offer the second derivation. Bungamati is a classic Newa: vilage dating from the 6th centery. It is a historical place. Many students of history, sociology and anthropology can get the many facts from this small village. It revils the ancient livestyles, their socail and cultural activities. The first mention of Kailashkut Bhavan stone inscription was found in Bungamati. Which was incripted by Amshuvarma in sambat 29 or 605 AD. The stele further shows that Bungamati had already been a famous village for agriculture, licestock and fishhing. There are 5 ponds in surround of only 1 km square. 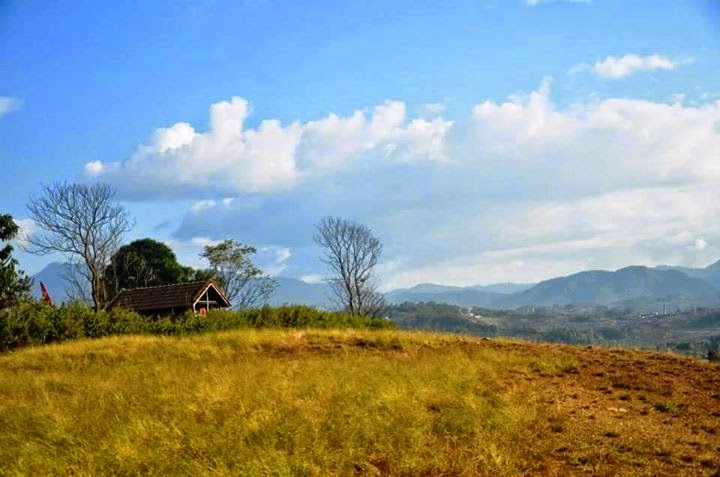 In Lichhavi period Bungamati was known as Bugayami and it changed to Bungapattan in Malla period. It is rested on a spur or land overlooking the Bagmati river in west and Nakhu in east. 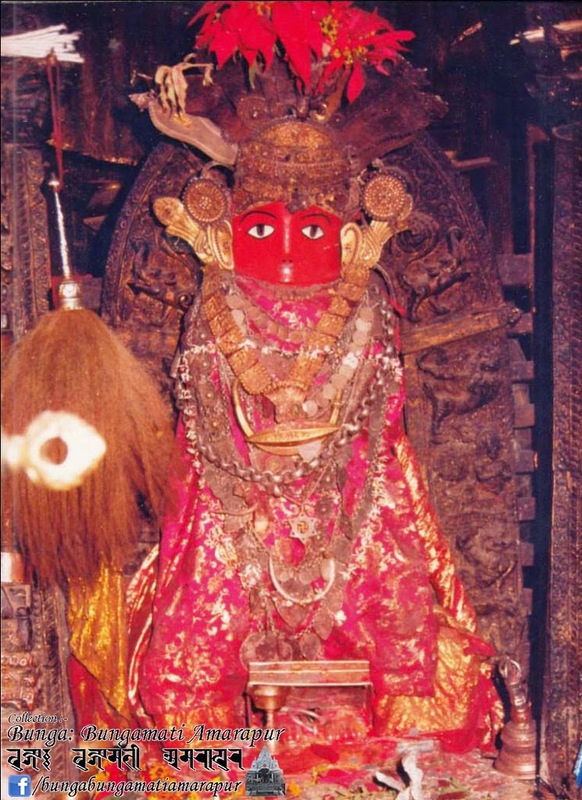 Bungamati is the place of Rato Macchindranath, regarded as the patron of the valley and the large Rato Macchindranath, shikhar-style temple in the center of the village square is his home for six months of the year(he spends the rest of his time in patan). The process of moving him around patan and backward and forward to Bungamati Central to one of the most important annual festivals in the valley. The chowk around the temple is one of the most beautiful in the valley-here one can see the heart of a functioning Newa: town. In Bungamati the Karya Binayak temple is also one of the most important temples in Nepal, is dedicated to Ganesh, the view is spectacular from the Karya Binayak, surrounding by trees and large bamboos and can look at the Bagmati valley to the foothills. The another important part of historical importance in Bungamati is the living goddess KUMARI. generally people only know there are only three kumaries as kathmandu, patan and bhaktapur but in patan near its area there is also a living goddess kumari in lalitpur bungamati where the god rato machhindra nath and karyabinayak (ganesh) temples are located as having their own importance. 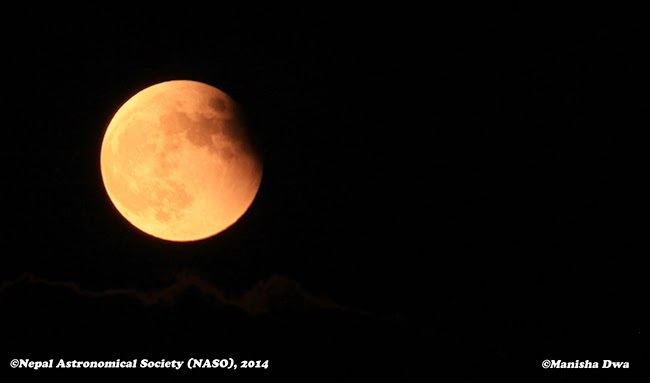 It’s truly an amazing sight to behold! The 32 haat (hands) long chariot beautifully decorated, inside which resides the god of rain Rato Machhindranath in its small abode. And to see this huge chariot sometimes even towering over houses by the side of the road being pulled by hundreds of men is an awesome moment. Only when Rato Machhindranath Jatra begins that I feel like the Nepali New Year (Bikram Sambat) has finally come around. The name Rato Machhindranath means ‘Red Fish God’. 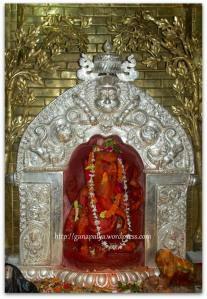 Rato as in red, Machhindra or Matsyendra means fish and Nath means god, even the statue of the deity is red in color. The legends behind Rato Machhindranath (also known by the names of Karunamaya and Bunga Dyah) are so many that is hard for me to say which one is the real one. Maybe that’s why they are called legends. All legends are not contradicting to each other. It’s just that they are like different versions of the same story told by different people in their own set of values and beliefs. 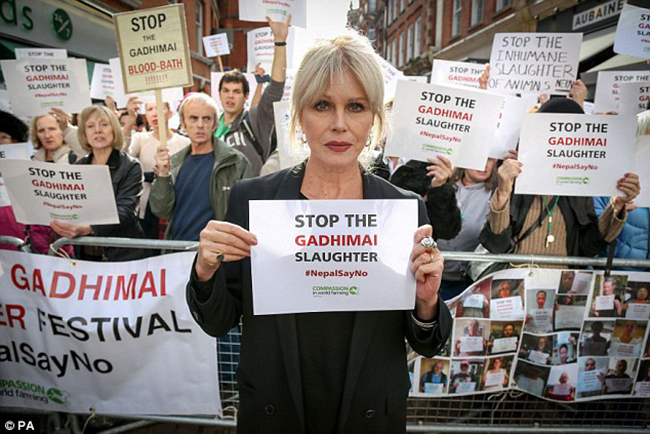 Most of the time the names and characters differ but the story is the same of a drought in the valley for which to end people seek out the help of Rato Machhindranath. The legend states that when Guru Gorakhnath came to Patan, no one knew his true identity. When he wasn’t given any meals from the locals he found the Nags (serpents) responsible for the rain in the valley and he captured them, then he went on to mediate. While the nags were in captivity they could not make rain bringing in severe drought in the valley. So, the advisors to the King Narendra Dev then asked the King to bring Machhindranath, teacher of Gorakhnath from Assam in India in hopes to end the drought. And when Gorakhnath heard his teacher is in Patan he decided to visit him setting the serpents free. 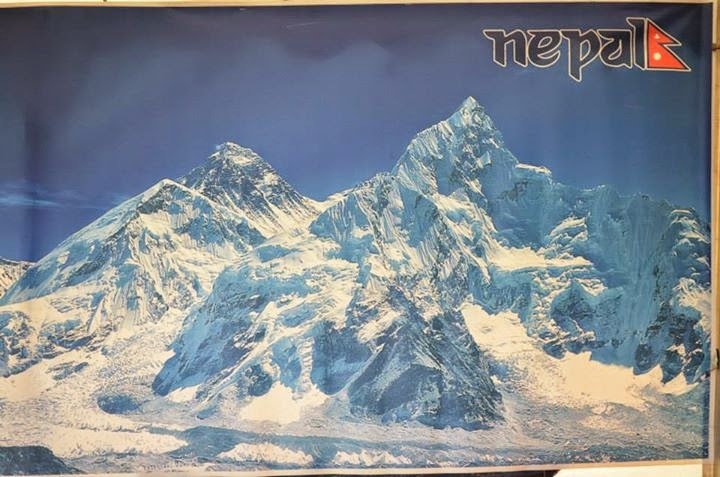 The valley then had plenty of rain, being thankful to Machhindranath the local started to worship him for saving them from drought and King Narendra Dev started the festival of Rato Machhindranath in 879 A.D. Whether true or not, I love to hear stories and I have heard so many versions for Rato Machhindranath that it spins my head. You cannot even begin to imagine all the details involved in every ritual and rite and I am not going to talk about those either. Otherwise, this particular note of mine will be freakishly longer than it already is. Plus, I am not a scholar and this is not my university thesis! But if you are someone who believes in facts than the stories themselves then I suggest you hit the books from you think are reliable because there is so much information available and find the truth about this particular legend from the people who know it all. Trust me, if you do so, it will be an adventure in itself trying to get to the bottom of the truth! Whether you find the truth or not is another story altogether! The 1600 years old festival of Nepal starts every year at the end of Baishakh (April-May) depending on the auspicious date calculated by the priests for the festival. Everything related to this festival even the tiniest detail is calculated and prepared in advance in accordance to the astrological signs needed for all the rituals. The festival formally starts after the ritual of ‘Gai Daan’ (cow donation). The preparation for the festival starts with the ritual bathing of the statue of Rato Machhindranath in Lagankhel square in Patan and then after is kept in the 16th century old, Rato Machhindranath’s Temple located in the south of Patan Durbar Square, until the ordained date to be transported in the chariot. Meanwhile, the chariot to house the deity for the festival is started to build days ahead in Pulchowk. People from Newar community but belonging to different sects come together to build the chariot in its different stages and follow a strict code of conduct while they are building it. The building materials for the chariot are mainly wood and cane of specific kind and measurements. The beautiful but heavy chariot is pulled with the help of two big wheels and supported by two long and strong ropes to keep its balance while being wheeled around the city. Because this festival is held just before the monsoon season starts and being the compassionate god of rain and harvest, it usually rains during the first few days of the festival, like Machhindranath himself giving the blessing to the people of the valley. The chariot tour starts from the place it’s built i.e. Pulchowk, circling the city via Natole, Gabahal, Mangal Bazaar, Sundhara, Lagankhel, Kumaripati and finally ending at Jawalakhel. Along with the chariot of Rato Machhindranath, there is another small chariot which is pulled only by little boys at the same time. This chariot has equal importance as it houses the deity embodiment of Lord Shiva known as Chakawadyo (in Newari), Minnath and Jattadhari Lokeswor a form of Lord Shiva. And this is THE BEST part of jatra for me! Watching these guys shout “Haste Haiste” while they pull the chariot with fervor is so much fun. Enjoying every bit of it and getting even more excited, if that’s even possible, when people watching from their verandas’ throw water to cool them off. During the chariot pulling the exciting sounds coming from the traditional musical instruments Dhime (drums) and Bhushya ( a pair of big brass cymbals) and the Guruju Paltan’s (Sarduljung Battalion) flutes serenading the procession adds to the festive mood of the jatra/festival. I get even more excited (if that’s even possible), by the small bells on top of the chariot, ringing sweetly when the chariot is pulled. Every time the chariot pulling comes to an end for the day when the Guruju ko Paltan fire three rounds of bullets in the air. Every time the festival comes around I get excited to see the chariot being built and to see the statue of Rato Machhindranath brings a soothing feeling to my soul. Every evening devotees worship the god and light up butter-lamps in front of the chariot making the site even more beautiful surrounded by those lights. The chariot pulling on the other hand is a different story where I watch it from a safe distance away from the enthusiastic crowd. During the Rato Machhindranath Jatra, street vendors align the surrounding area where the chariot is kept to put up their businesses early in the morning. It is quite a scene to watch devotees praying while people shop nearby. When the chariot leaves the area where it was kept for resting, it can feel empty and quiet for days. There is a section in the chariot pulling at Thali where it is pulled only by women of all ages for a few meters. In which I haven’t taken part, simply because I don’t want to be squished like a sandwich in the crowd (Yes, I am weak! There I said it!). Bhoto Jatra, another separate ritual and an addition to festival which has now become a part of Rato Machhindranath Jatra marks the end to this month long lively festivities. On the fourth day after the chariot reaches Jawalakhel, Bhota Jatra is held. It’s the ritual of showing a diamond crusted vest (bhoto) in all four directions three times from the chariot. 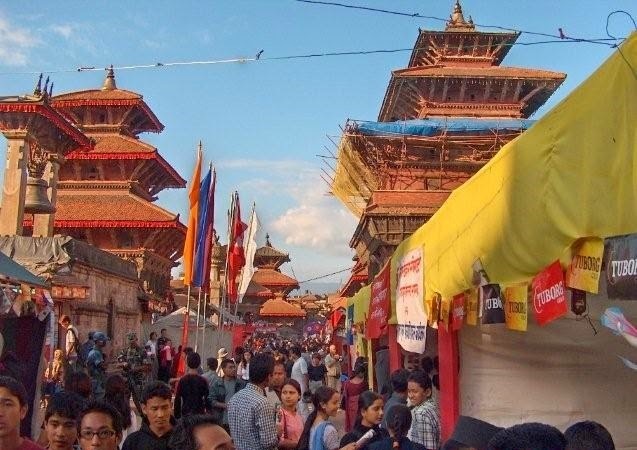 On that day, there is a public holiday declared for the capital, so, thousands of people flock to the center of Jawalakhel to see the Bhoto Jatra. 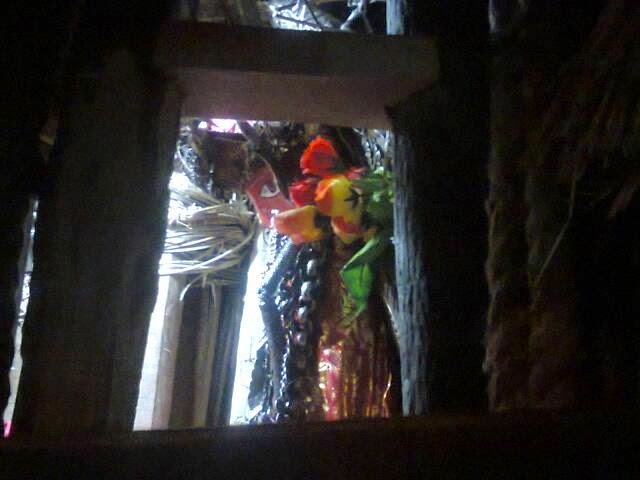 It is believed that seeing the ‘Bhoto’ brings good luck. 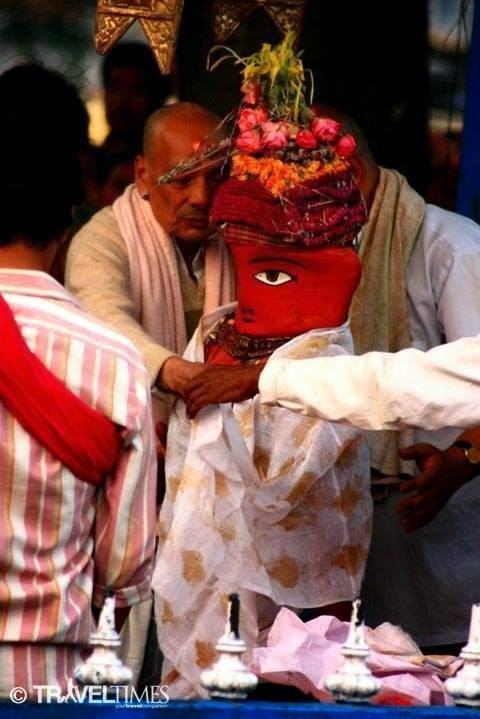 The legend behind Bhoto Jatra comes from the story in which a farmer was gifted the bhoto in gratitude by the Karkotaka Nag (snake) for curing the eye aliment of his Queen. One day the farmer lost the bhoto when he took it off to go work in the field. Later he saw a man wearing the same vest among the crowd in the festival of Rato Machhindranath, which resulted in a quarrel between the man and the farmer. At the festival, the Karkotaka Nag was also present in human form. He then proceeded to settle the dispute between them and offered the vest to Rato Machhindranath saying whoever brings the proof of ownership of the bhoto shall have it, till then it will remain in the custody of the deity. So every year, on the last day of Rato Machhindranath Jatra, the bhoto is shown to the public in presence of Patan’s Kumari (living goddess) and the president, the head of state (previously it used to be the King before abolition of monarch system in Nepal) in hope that the owner will come forward with the evidence to claim it. After Bhota Jatra, the statue of the deity is transferred to the shikhar-style temple in Bungamati where it will stay for six months before the jatra next year. The chariot is then taken apart. Once in every 12 years, the festival of Rato Machhindranath starts and ends in Bungamati, a small Newar village, believed to be the birth place of Machhindranath, 6 km to the south of Patan. It is going to be held in 2015 i.e. Next Year! When the chariot arrives at their part of the town, this month long festival is celebrated by both Hindu and Buddhist Newars in Patan with great zeal and family gatherings surrounded by delicious foods and music. Rato Machhindranath Jatra is a must see festival for everyone and should not be missed. And RIGHT NOW, it’s that time of the year! Maru Ganesh or 'Gaju Maru Gane'dyo (मरु गनेद्य:) is popularly known in the local language as the other name of Ashok Vinayak. The striking feature of this temple is that it does not have a Gajur, a pinnacle garnish on top of a temple. To know what is Gajur, let me explain a bit about the Nepali architecture. Most of the temples in Nepal is usually pagoda style of architecture. All the features of pagoda style can be found in these temples like cubic constructions, beautifully carved wooden rafters on which they rest (tundal). The two level roofs are of copper with gold covering. 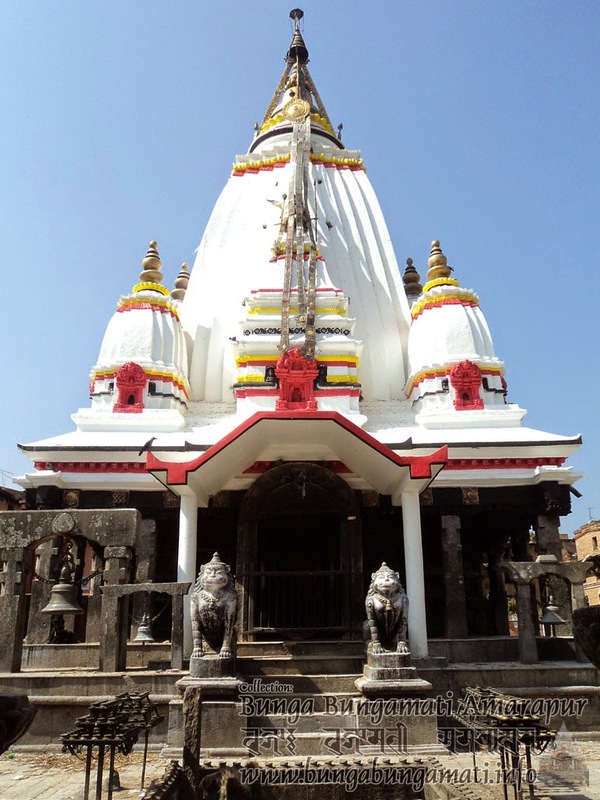 It has four main doors, all covered with silver sheets and another important feature of the temple is that it will have a gold pinnacle, (Gajur), which is a symbol of religious thought. Since this temple doesn’t have a gold pinnacle its popularly known as Gaju Maru Ganesh, a shrine without Gajur or pointed part of roof . The construction date of this temple is unknown, the only known aspect is that the gilded roof was added in the 180 AD5. re Hanuman Dhoka as a royal palace came into existence. At that time the place was cramped among trees, and so the temple could not get a pinnacle. Further the story also suggest that this is the reason for the Ganesha to be named Ashok Vinayak [because of lot of Ashoka trees] . The tree shaped decarnation inside the temple that is hardly seen these days, is the reminder of Ganesha’s love the Ashok tree that gave him the name. Story behind this: Once a Malla king [from the Malladynasty ] had a dream, Ganesha asked him to build a temple for him. The king proceeded as per the order in the dream and went ahead to build a temple. The place was filled with Ashoka trees, they were all cut down and the temple was built, as the workers got ready to put the pinnacle, the king had a second dream. Ganesha ordered him not to install the the pinnacle [gajur] over the temple. Hence the gajur was not installed and since then it remained so. 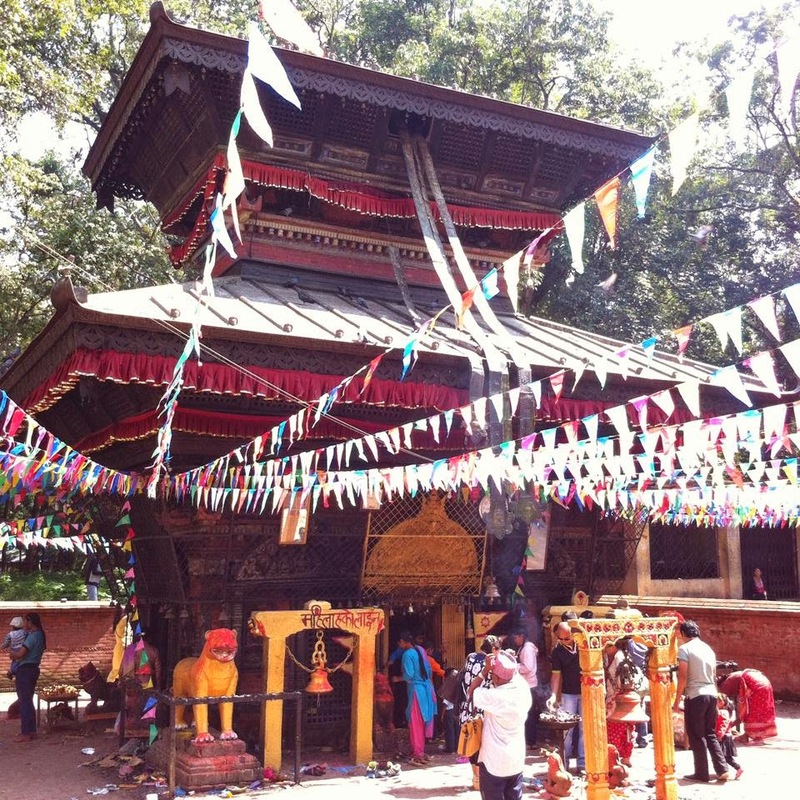 This Ganesha temple is one of the four most important Ganesh shrines of the valley in Nepal. This temple is worshiped by both Hindu and Buddhists. 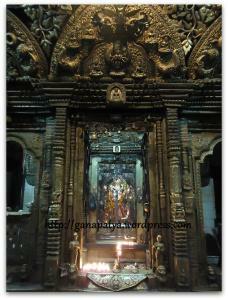 The Ashok Vinayak temple is situated on the west of the Durbar square. The people of the Kathmandu valley believe that the four Ganesha in four corners of Kathmandu protect the peoples living there. Since the main idol is made of stone and is fixed, a silver idol [utsava murthy] is made which is an exact replica of the stone idol. This idol is taken to the city on the eight day of Dashain [Vijayadashami] and paraded around the valley. On this day the locals offer animal sacrifice [bali]. The members of the royal family, along with their children visit to the temple to carry out rituals of Bratabandha [a ceremony that consists of chuDAkarna चूडाकरण and उपनयन upanayana], rice feeding [read as अन्नादन - annadana] and wedding. Likewise, visiting to this temple is a must for every monarch [something like a part of coronation ceremony] . So many devotees throng the temple that it is said that a devotee hardly gets enough space in front of the temple to sit and pray. 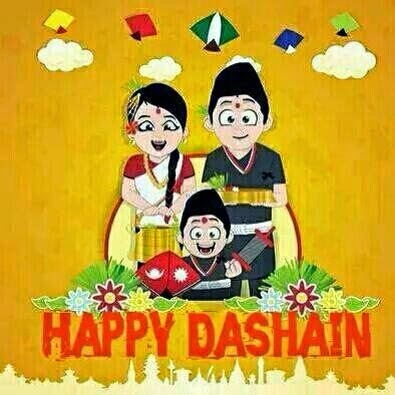 Dashain is the greatest and the most auspicious festival of Nepal. 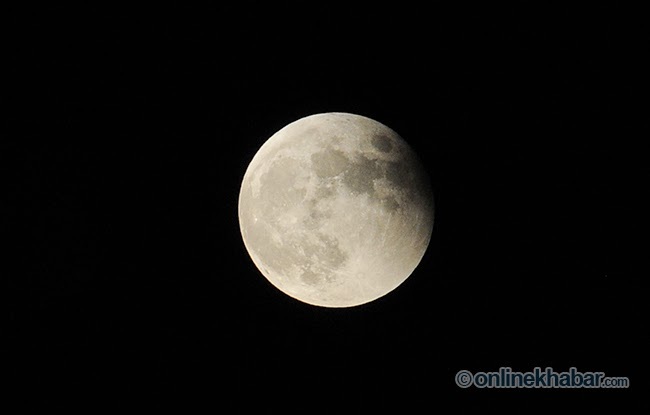 The festival is known as ‘Mahani’ The fifteen days of celebration occurs during the bright lunar fortnight ending on the day of the full moon. Thorough out the kingdom of Nepal the goddess Durga in all her manifestations are worshiped with innumerable pujas, abundant offerings and thousands of animal sacrifices for the ritual holy bathing and to ensure the devotees’ progress and prosperity. The festival is celebrated with great rejoice, and goddess Durga is worshiped throughout the kingdom as the divine mother goddess to celebrate her victory over evil. During Dashain all factories, vehicles, any machinery instruments and anything from which we make a living are worshiped and also sacrifice them to get the blessing from goddess Durga for protection for all machinery and their occupants against accidents during the year. People buy new clothes for the festival and exchange gifts. Children and women enjoys with swings called ‘Ping’. 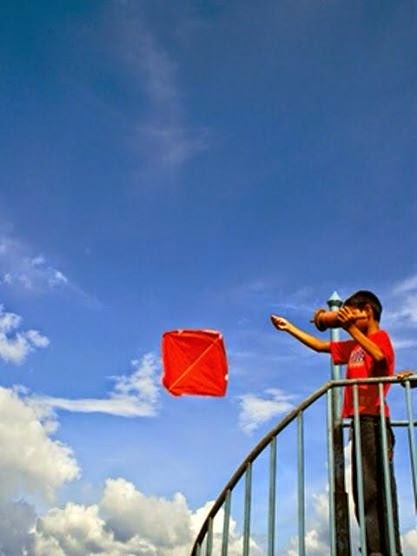 The sky seems colorful with beautiful kites. 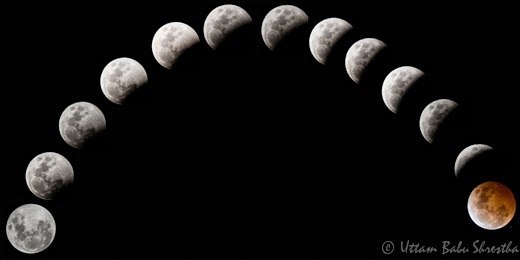 The first nine days of Dashain are called ‘Nawa ratri’ when tantric rites are conducted. In Nepal the life force is embodied in the divine energy and power of the female, depicted as goddess Durga in her many forms. 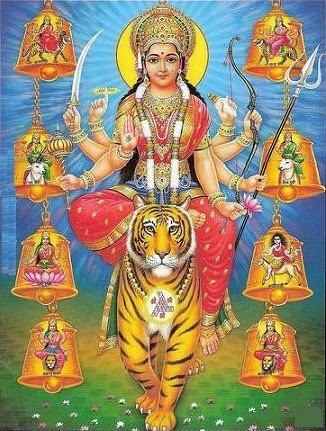 All goddess who emanated from goddess Durga are known as devis, each with different aspects and powers. 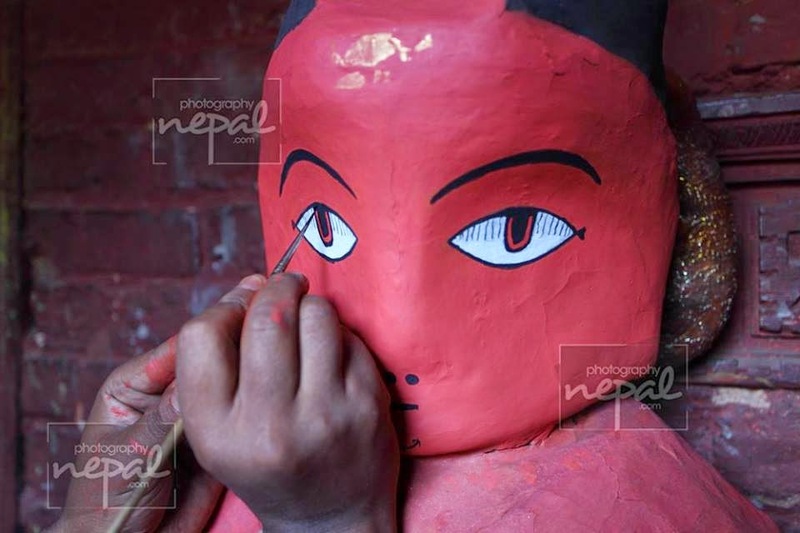 In Patan during these nine days a traditional mask dance called ‘Gan Pyakhan’ is performed from Nabahi to Mangal bazzar (Patan Durbar square). On the ninth day, early morning ‘Payo’ one of newari tradition comes out from Mulchwok (it was stopped years before because of limit budget). More other traditional and cultural activity performs in different places during Dashain. The first day of Dashain is called Ghatasthapana, which literally means pot establishing and also called ‘Nalisanu’ in Newar community. On the day barley, maize and another seeds are sown on rectangular bed of sand and it is sprinkled with holy water every day, and are shielded from direct sunlight. By the tenth day, the sown seeds grows to a grass called ‘ Nalin-swan’ or ‘Jamara’. The 7th day is called Fulpati, it’s a day to bring necessary items like sugarcane, banana stalks, red clothes for garland etc for Dashain celebration. “On this day the Jamara to be used by the royal household is brought from their ancestral royal house in Gorkha. The fulpati, i.e. the procession bearing the jamara and other items necessary for the tika, is brought from Gorkha after a three day walk and most of the government officials are eagerly waiting for the fulpati parade to arrive at Rani Phokari in the afternoon. Rani Phokari area is filled with hundreds of government officials meticulously attired in the traditional formal dress. In fulpati, the royal kalash filled with holy water, banana stalks, jamara and sugar cane tied with red cloth is carried by Brahmans from the ancestral royal house on a decorated palanquin under a gold tipped and embroidered umbrella, led by the military platoon of the royal priest. 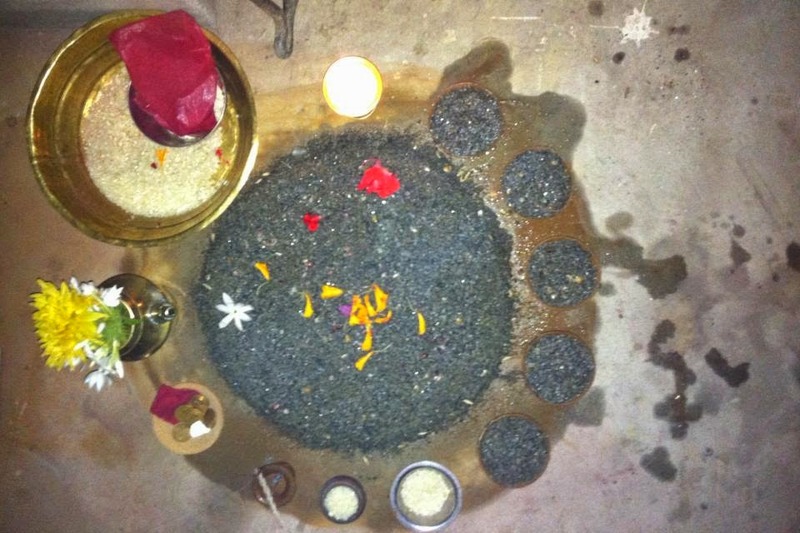 On this day Newar people called ‘Chhwelabu’ keeps all equipments, instruments, books together for worship and keeps oil lamps for ‘Mahni Sina’ (black smoke Tika) all these should not be removed from place till ‘Dashami. 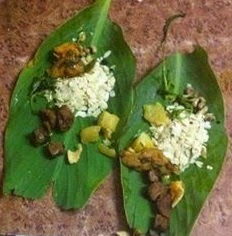 Finally family gathers for feast called ‘Kuchhi-Bhwe’ served on banana leaf. 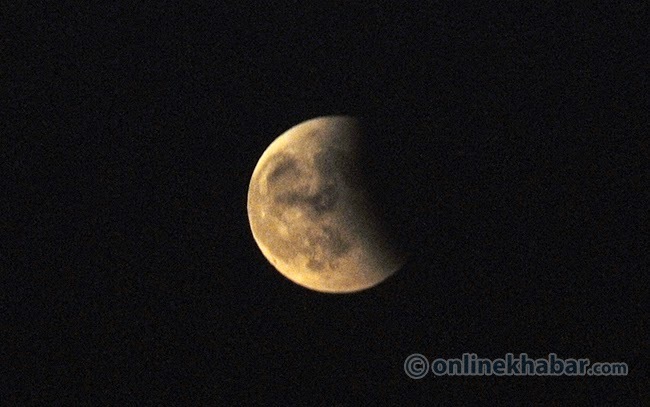 The ninth day is called 'Nawami'. Early morning people worship all temples and things placed on 'Maha Asthami'. For Newar this is the main day of festival. 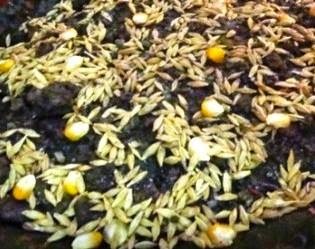 Varieties of foods are prepare and gather for evening feast called ‘Sikabu’ means keeping good relation between brothers. It means if the ‘Sikabu’ feast is broken between brother means broken brotherhood so it is very important event of the festival. 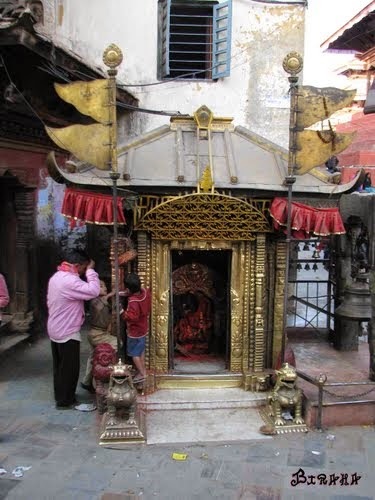 On this day the Taleju temple at Hanuman Dhoka is also opened for the public once a year on this day. Thousands of people go and pay their respect to the goddess day. On 10th day called 'Dashami' or ‘Chanlan’ in newar. 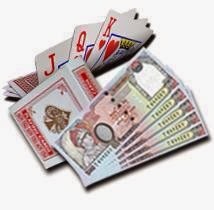 It’s a final day of worshiping and moving equipments, books and instruments whatever was placed on 'Maha Asthami' . 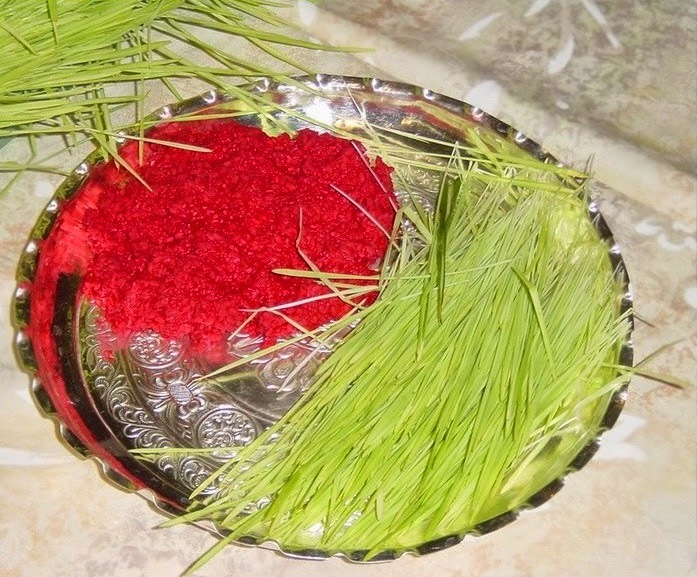 From the day people starts take ‘Tika’(vermilion paste) and ‘Jamara’ from elders (for newar important Mahani sina, Bhuyusina/orange color and kokha- red cotton garland)and receive their blessing. 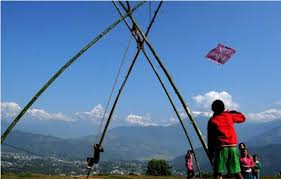 The importance of Dashain also lies in the fact that on this day family members from far off and distant relatives come for a visit as well as to receive Tika from the head of the family. On this day people also go to Bajrabarahi temple at Chapagaun to attain fair. 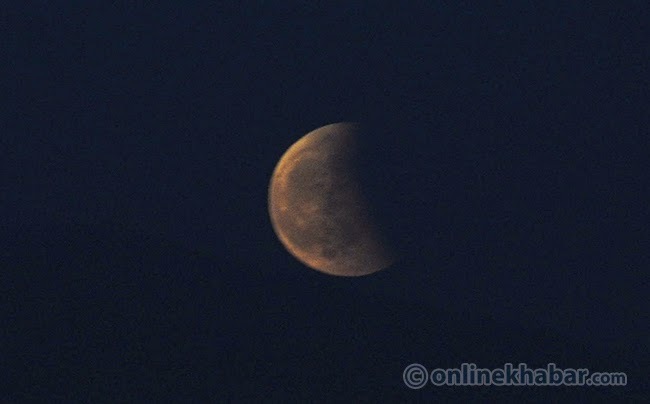 After four days of meeting relatives Dashain ends on the full moon day, the fifteenth day called 'Kojagrata Purnima ' meaning 'who is awake'. On this day the goddess Laxmi is given an invitation to visit each and everyone. 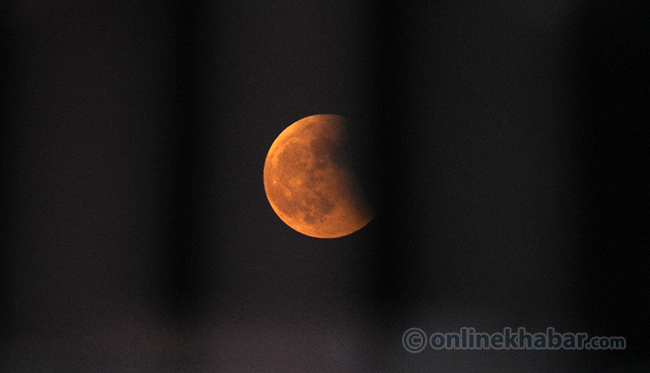 After Dashain the nation settles back to normal. After receiving the blessing of goddess Durga, people are ready to work and acquire virtue, power and wealth. Dashain thus is not only the longest festival but also the most anticipated one among all the festivals of Nepal.